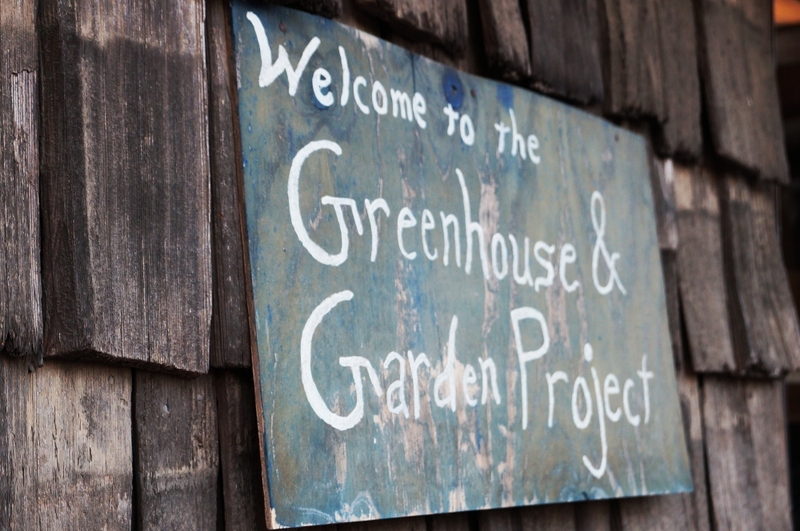 The UCSB Greenhouse & Garden Project hosts students, faculty and staff to maintain their own garden plots. 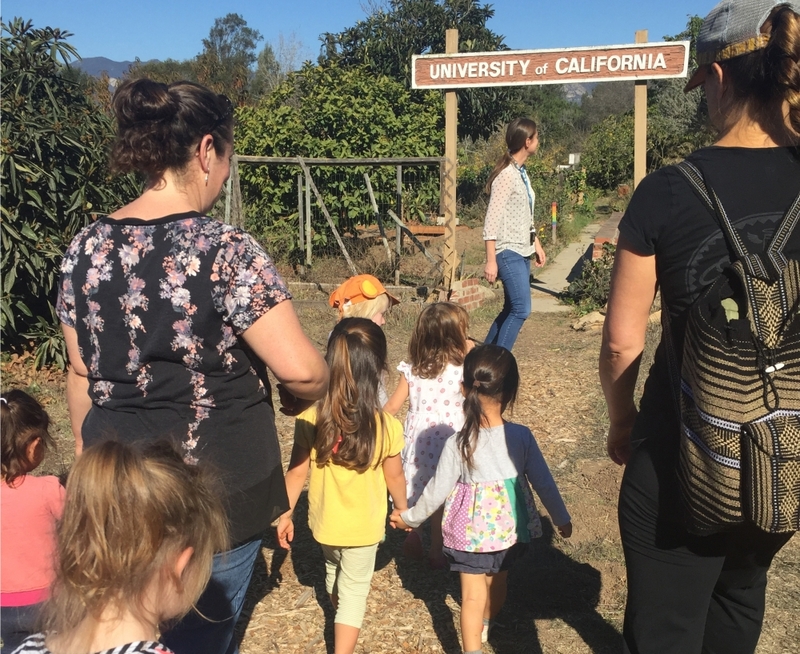 Students with UCSB’s Gevirtz Graduate School of Education are connecting kids with nature and sustainability by teaching preschoolers about gardening. UCSB student Alysia Humm, part of the Department of Public Worms, works in a test garden at the campus Greenhouse & Garden Project. Preschoolers from the Orfalea Family Children’s Center at UCSB enter the campus Greenhouse & Garden Project for a lesson in gardening. One seed is all it takes. The university’s Gevirtz Graduate School of Education (GGSE), Early Childhood Care and Education Services and Edible Campus Project have partnered to teach preschoolers about gardening and, by extension, to root in children an early awareness of sustainability and appreciation of nature. The collaboration emerged from the construction of a new communal garden and greenhouse in the newly renovated outdoor play spaces at UCSB’s Orfalea Family Children’s Center. 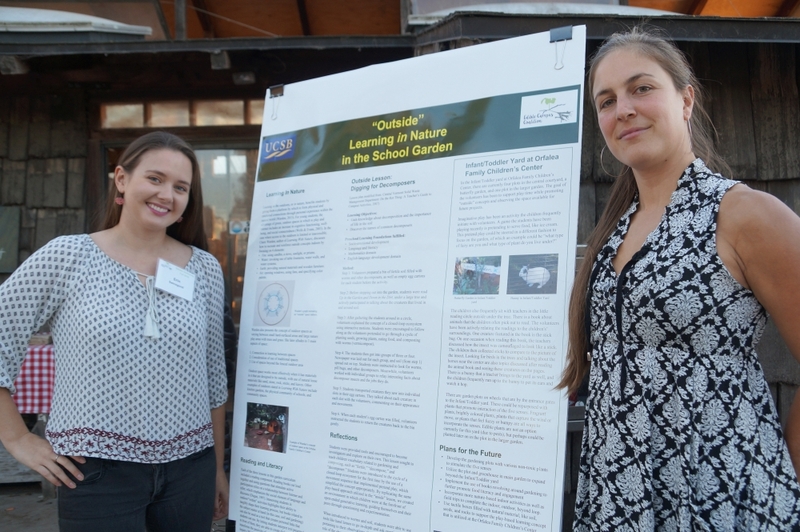 With funding from the Johnson Ohana Charitable Foundation, already a supporter of the Edible Campus Project, the gardening education effort launched in fall 2016. It will continue through the 2016-17 academic year. The first round of the project saw kids aged 3 to 5 years old introduced to soil, decomposers and compost. Next up is a unit on seeds and plants, and the final sessions will revolve around food production and preparation. Altogether, seven groups of preschoolers will get a three-session mini-course that begins with one indoor class, followed by a lesson in the children’s center garden and culminating with a visit to the campus greenhouse and garden to see the curriculum in practice. Adapted from an existing framework for nature instruction, the concept is known as “inside, outside and beyond,” and it’s meant to instill in the children a sense of place and to emphasize connections between school, community and the environment, according to Tamara Thompson, preschool coordinator at the children’s center. “The benefits of school gardens are numerous, including positive social and interpersonal skills, healthy eating and nutrition, science achievement and attitudes toward learning, design skills and environmental stewardship,” Thompson said. “As well, a garden provides a platform for natural open-ended play, developing a child’s sense of wonder and imagination. The approach, noted Colby — whose own focus is on environmental education, environmental justice, food literacy and critical pedagogy — has in other places proven to be extremely successful. And she anticipates similar results at UCSB. “I look at garden curriculum as a way to teach all the important things at once,” Colby said. “Gardening fulfills the administrative concern of standards on nearly all levels. It is a STEM field, too. You can cover soil science, biology, botany, ecology, chemistry, entomology. It is inclusive of socio-cultural backgrounds — growing food and non-edibles gives teachers the chance to honor myriad cultures. It also takes kids outside, which is extremely beneficial.